CARRIE BROWN has succeeded Paddy Barclay as Chairman of the Football Writers’ Association, the first woman to hold the role and the first female chair of a major football organisation. Carrie, who is Senior Sports Correspondent for beIN Sport, was elected unanimously at the FWA’s Annual General Meeting on April 23. She has been an FWA member for more than ten years and an active member of the National Executive Committee for the past two years. Carrie said: “It was first a considerable source of pride simply to be considered for membership of the Football Writers’ Association over a decade ago. In the past two years, I have witnessed and been wholly impressed by the drive and determination of Paddy to promote diversity within the FWA and especially among the Executive Committee. Today, I am honoured to have been voted into the role of Chairman but accept the position in the knowledge this role should have been taken by our late vice-chair Vikki Orvice. Paddy Barclay has overseen a huge rise in the number and diversity of members over the past few years, and the FWA now has 430 full members and over 100 student members, as well as a mentoring scheme for young journalists. 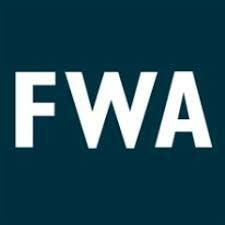 Paddy said: “Carrie will continue and enhance the development of the FWA in every sense. She has made a great impact on the organisation in a relatively short time and yet the energy she has put into this crucial contribution to our modernisation is balanced by a respect for history. Also leaving the National Committee after more than 20 years is Mike Collett, the former global editor of football for Reuters. Mike has served the FWA with distinction, not least in researching the history of the association back to its founding fathers in 1947. Just recently Mike sourced a collection of memorabilia from the family of Ivan Sharpe, Chairman for the the FWA’s first six years, and handed it over to the National Football Museum, who will have a permanent exhibition space dedicated to the FWA. Joining the National Committee in their place are three members who demonstrate the association’s drive for diversity in terms of age, ethnicity and gender. Alyson Rudd of The Times has been a mainstay of newspaper football coverage for over 20 years, Kelly Cates of Sky and BBC Radiio is a highly-respected broadcaster, and Joel Beya from Cheeky Sport represents the new wave of multimedia journalists in the digital world. Their recruitment to the National Committee follows that of Sam Cunningham of The I newspaper, Darren Lewis of the Mirror, Jonathan Liew of the Independent and broadcaster Jacqui Oatley, who have all joined in the past year. The Annual General Meeting of the Football Writers’ Association will be held at noon on Tuesday April 23 at The Old Bank of England, Fleet Street. All National Committee members seeking re-election must attend or give a minimum 72 hours notice of apology. All FWA members are welcome. Please let Executive Secretary Paul McCarthy know if you wish to attend. 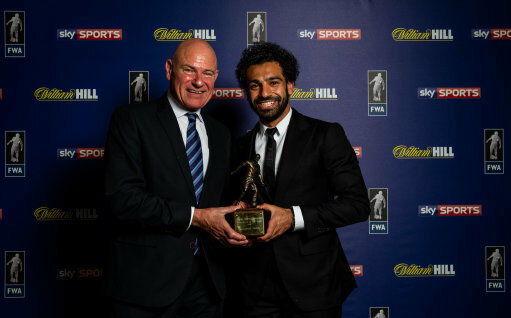 Preparations are underway for our Footballer of the Year and Women’s Footballer of the Year awards dinner, which will be held at the Landmark Hotel, London on Thursday May 9. It’s that time of the year when planning starts for the FWA Footballer of the Year Dinner. This year’s event will be on Thursday, May 9 at The Landmark Hotel, 222 Marylebone Road in London. 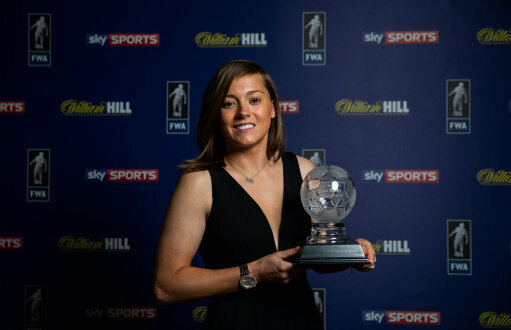 The Women’s Footballer of the Year will again be selected by a chosen panel of experts and also announced on April 29. In terms of the dinner, I am now taking bookings for full tables of either 10 or 12 or individual tickets. Thanks to the generosity of our title sponsors, William Hill, we have held the prices at £85 for members and £90 for non-members. Please indicate on your ticket application the split you require. Passion fruit and mango pavlova, Chantilly cream, coconut sorbet. Vegetarian and vegan options are available and I would be grateful if you could alert either myself or Kristy Mitten (kristy.mitten@thelandmark.co.uk) at the hotel to any dietary requirements when you book your tables/tickets. Wine and drink order forms will be distributed in due course to all table hosts or individual ticket holders. To book tickets, please contact me on paul@maccamedia.co.uk as this is the only address where tickets can be booked. I will then forward an invoice with all payment details. Could all LIFE MEMBERS please let me know if they want to take up your complimentary tickets at the above address. As ever, tables will sell rapidly so I would advise you let me know your requirements as quickly as possible. I look forward to seeing as many of you as possible on May 9. A memorial service for Hugh McIlvanney will be held at St Bride’s Church, Fleet Street, London EC4 at 11.30am on Thursday 16 May. St Bride’s is described as ‘the spiritual home of the media’ so it is a fitting venue for friends, family and former colleagues to remember Hugh, who passed away earlier this year after a long fight with cancer. More details will follow in due course. The people who run the game, who run our media and the industry know all about the glass ceilings and scandalous representation within it. 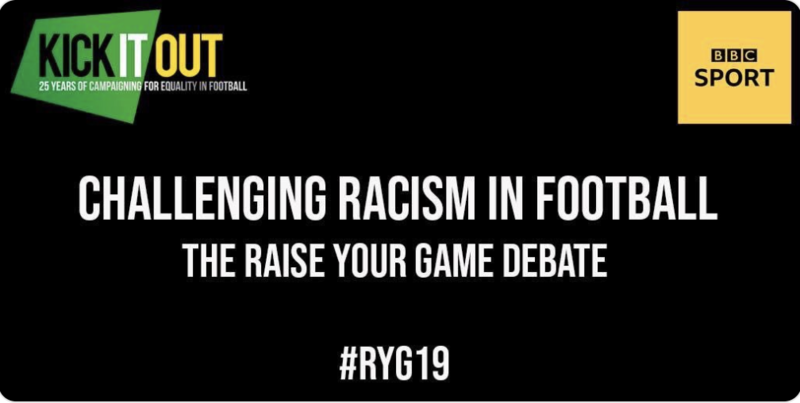 So it was a breath of fresh air to see football being asked, at Kick It Out’s Raise Your Game event last night, what it intends to do about it. It was refreshing to hear tough questions being put to the game’s stakeholders. It was an education – even now – to hear players offering different perspectives on the racial abuse they suffered over so many years. To see the light shone on grass roots football and its frustrations at being ignored as the game takes a long hard look at itself. Football needs to face up to the harsh realities put forward in that central London meeting room last night. We can only have so many panels. We can only have so many investigations. We can only have so expressions of sympathy from the game without substantive action to actually change things. We in the written press need to look at ourselves and finally listen to the concerns expressed over many, many years about the representation of young black men. The broadcast media needs to have more people of colour asking the questions, making decisions about policy, approving content. It is laughable that there are so few decision-makers of colour with any power in the upper echelons of the FA and the Premier League when football has had so many influential black leaders over the past five decades. Ex-West Ham striker Carlton Cole, who spoke powerfully on the night, said: “It was a discussion that needed to had. Glenn Moore looks at the contenders for promotion to the Vanarama National League. While the attention on the elite end of the non-League pyramid tends to focus on those teams seeking to enter the Football League, the scramble to get into the Vanarama National League system is no less intense. But now, as the weeks tick by, the smoke surrounding the battle to get into the two-tier, three-division set-up is clearing with two contrasting clubs favourites to step up. Kettering Town are older than any club in the Premier League, and all but a handful in the Football League, yet currently play in the seventh tier. Also at step 3 in the non-League pyramid are Dorking Wanderers, only 20 years old but already seeking their 11th promotion. Both are poised to be among the six clubs going up to the Vanarama National League’s regional divisions, but who joins them is far from evident. Three clubs are promoted into each of Vanarama National League North and Vanarama National League South. In the past that meant the champion and promotion play-off winner from each of the Northern Premier League, Southern League, and Isthmian League (a competition based around London and the south-east). The six would be allocated to the North or South divisions according to geography. However this year, as part of an ongoing re-organisation of the pyramid, there are four divisions, the Southern League top flight having split into the Premier Central and Premier South respectively. So the four title-winners will go up, along with two further teams emerging from a series of play-offs. Barring a late collapse, coming up from Southern League Premier Central will be a grand old non-League name – Kettering Town, formed in 1872. If an automatic promotion-and-relegation system had been in place before 1987, then surely they would have reached the Football League much earlier. The Poppies came agonisingly close in the following period, finishing runners-up three times in 12 years. Since then they have had mixed fortunes, achieving prominence during Paul Gascoigne’s ill-fated managerial stint and for an FA Cup run that ended at Craven Cottage, but also losing their much-loved Rockingham Road ground and going into administration. Now, playing at nearby Burton Latimer, they are thriving and sit 11 points clear with eight matches left. If Kettering are non-League aristocracy, then Dorking Wanderers are street urchins. They were only formed in 1999 and began life in the Crawley and District league playing at Big Field Brockham, which is literally a big field. An astonishing ten promotions later they are 13 points clear in the Isthmian League Premier Division. Wanderers play at Meadowbank, formerly home to the now defunct Dorking FC. Previously the oldest club in Surrey, Dorking disbanded and effectively subsumed into Wanderers in 2017 bequeathing them the ground, which now sports an artificial pitch and doubles up as the Surrey FA HQ. The other promotion races are much tighter. There is a three-way tussle in the Northern Premier League between Farsley Celtic, Warrington Town and 2017 FA Vase winners South Shields. Only Farsley have played in the National League divisions, managing four years before being expelled in 2010 after suffering financial problems. The Southern League’s Premier South Division features four contenders for the automatic spot: Taunton, Weymouth and Salisbury, all of whom are well-supported with big ambitions, and Surrey-based Metropolitan Police, who traditionally find spectators harder to attract. Jeff Stelling will embark on another epic walking challenge for Prostate Cancer UK – spanning four countries in four days, with the finale in London. The long-serving Sky Sports television presenter has already completed 25 walking marathons for the leading men’s health charity in 2016 and 2017, raising close to £800,000, and aims to march through the £1m fundraising barrier as he travels to Glasgow, Belfast, Cardiff and London from 5-8 September, 2019. After two trips across the Irish Sea via Glasgow and Belfast and a train trip into England following the penultimate leg in Cardiff, Jeff’s final day includes visits to three Premier League clubs and will start at West Ham United’s London Stadium. He will also visit Charlton Athletic, Millwall FC and Arsenal FC before his quest culminates at Tottenham Hotspur. The exciting four-day event is part of Prostate Cancer UK’s wider walking programme, March for Men, which returns bigger and better in 2019 with 10 City Walks across the UK in June – including, for a third time, a family-friendly event at the Queen Elizabeth Olympic Park on 15 June. Stelling, meanwhile, will follow up his two mega marches from Hartlepool to Wembley, and Exeter to Newcastle, by pounding the pavements across the major metropoles of four nations and he is urging the public to pull on their walking boots to join him and support the charity in their quest to help stop prostate cancer being a killer. Over 325,000 men are living with and after prostate cancer in England, and that figure is more than 38,000 in London, emphasising the need to raise awareness and funds. “It’s three years since I started this life-saving journey at the gates of my club, Hartlepool United, but there is still so much work to do,” said Jeff, who regularly wears the Prostate Cancer UK Man of Men pin badge on Soccer Saturday, alongside former Arsenal stars Paul Merson and Charlie Nicholas. “Prostate cancer is the most common cancer in men, with one man dying every 45 minutes from this disease. That’s unacceptable, and that’s why I’m walking again. “It’s an indiscriminate disease, affecting men and their loved ones across the UK. I’ve walked alongside many of them and am proud to call some friends. Their reaction and positive outlook despite being dealt the toughest of hands is simply unbelievable. I’m marching for them – and everyone affected – in a bid to fund the research to change the game. Not only will Stelling navigate 26 miles of walking on each day and trips to 16 new clubs, taking his three-walk tally to 89, but will also face the added challenge of transport connections, including two flights across the Irish Sea. And, as ever, he wants company as he marches to a million, with walkers invited to join him across all four routes and help him reach his fundraising target. You can find out more via marchformen.org. Jeff’s 100-plus mile March for Men kicks off in Glasgow, at Hampden Park, home of the Scottish national team, and the nation’s oldest club, Queens Park, in the morning of 5 September and also heads to city giants Rangers FC and Celtic FC before visiting Hamilton Academical and finishing at Motherwell FC. He will then board a plane to Belfast that evening with Day Two starting at Northern Ireland Football League Premier League club Crusaders before culminating at Windsor Park, home of Linfield as well as the Northern Ireland national team. The Belfast route also visits Cliftonville FC and Glentoran FC. After flying back across the Irish Sea, Saturday 7 September, sees him in Wales where he will head from League Two Newport County to Premier League Cardiff City and finish at the Principality Stadium. A train into England will follow that evening before the final amble across London on 8 September, from West Ham United’s London Stadium to Charlton Athletic, Millwall FC and Arsenal FC before finishing at Spurs. Stelling’s September stroll is part of the third March for Men campaign, another opportunity for the public to raise funds to fight this killer disease. Now in its third year, Prostate Cancer UK’s March for Men series has grown bigger with ten organised walks including returns to Bristol, Glasgow, Leeds, Liverpool, London, Manchester and Nottingham and new walks in Belfast, Birmingham and Cardiff. The family-friendly ambles are held over circa 2km, 5km and 10km and supporters are also encouraged to organise their own walks. Prostate Cancer UK Chief Executive Angela Culhane, who has walked more than 130 miles alongside Stelling across the 2016 and 2017 March for Men events, said: “We’re thrilled that Jeff’s amazing journey will continue this year and are incredibly excited he will be spearheading our drive to raise awareness and funds for vital research across the four nations. “By visiting Glasgow, Belfast, Cardiff and London and walking to some of the country’s iconic stadia alongside fans and people affected by prostate cancer, Jeff’s epic challenge will extend our footprint in football, and prove again the power that sport can have in breaking down barriers and shaping tangible change. “The fight against prostate cancer, a disease that kills one man every 45 minutes, is a purpose worth uniting for, and we want to continue making strides to combat this disease. That’s why we’re so grateful to Jeff for dusting off his walking boots and plotting another ‘unbelievable’ adventure. Our March for Men walking programme is bigger and better than ever this year with 10 city marches in June, Jeff’s amazing four-day adventure and supporters continuing to organise their own walks, and we are urging people to get involved. Many people are unaware that prostate cancer is the most common cancer in men. It’s a huge issue that cannot be ignored. One man will die from prostate cancer every 45 minutes in the UK. That’s over 11,500 men a year. To sign up and join Jeff or to find out more information about the March for Men programme go to marchformen.org. We are delighted to join the world in celebrating International Women’s Day by announcing that on the 9th April, the Football Writers’ Association and Snack Media will host an event dedicated to promoting and supporting female football writers and broadcasters. The first FWA all-women panel will be populated by some of the most recognisable names within the football media world and are also fantastic role models for all aspiring writers and broadcasters – not just for women. We believe that football is a game of opinions, and the greater the diversity of voices we hear in the sport the better our understanding of it will be. This event, which seeks to encourage young women who aspire to a career in football media, will take place in Sway Bar, just off Covent Garden. Tickets are FREE but must be applied for through Eventbrite as places are limited. The Football Writers’ Association Speakers’ Event last October featured Patrick Barclay, Paul McCarthy, John Cross, Raphael Honigstein and Joel Beya. That evening 80 young journalists attended and received advice on taking their first steps in the world of football media from some of the industry’s best-known figures. 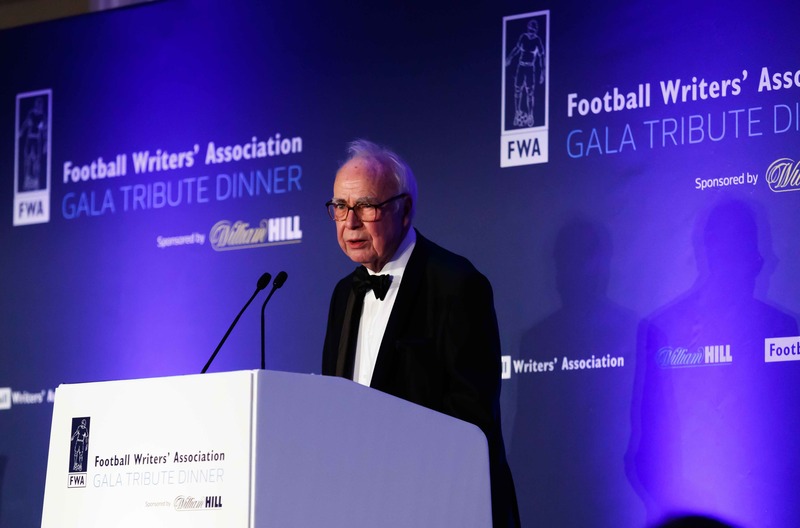 April’s event is another chance for the Football Writers’ Association to continue its pledge to promote up and coming personalities within the sports media industry and broaden the voices speaking about football for the good of the sport. The event is part of a joint FWA/Snack Media initiative to attract a more diverse workforce to the sports media industry and will be followed by other campaigns, initiatives and recruitment drives in the coming months. Dan King of The Sun is running the Cambridge Half Marathon this Sunday, March 3 and, with Ian Ridley’s blessing, has set up a fundraising page for the @royalmarsden in memory of his friend and colleague Vikki Orvice who passed away three weeks ago. Vikki was a patron for the hospital, whose staff were so helpful to her in her 12-year fight against cancer. Three of them attended Vikki’s funeral earlier this week. 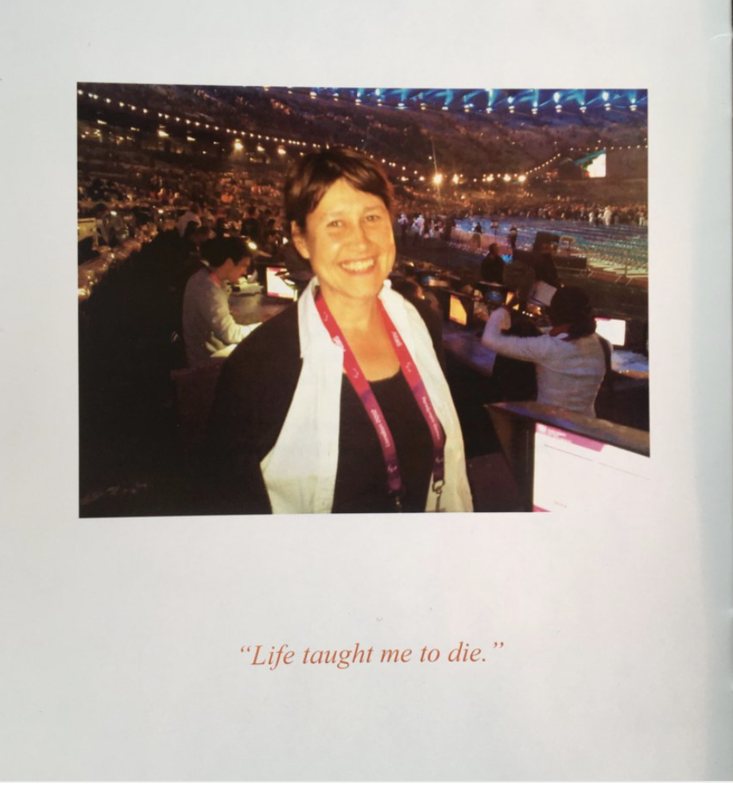 Vikki Orvice – a Celebration of her Life. She need not have worried. 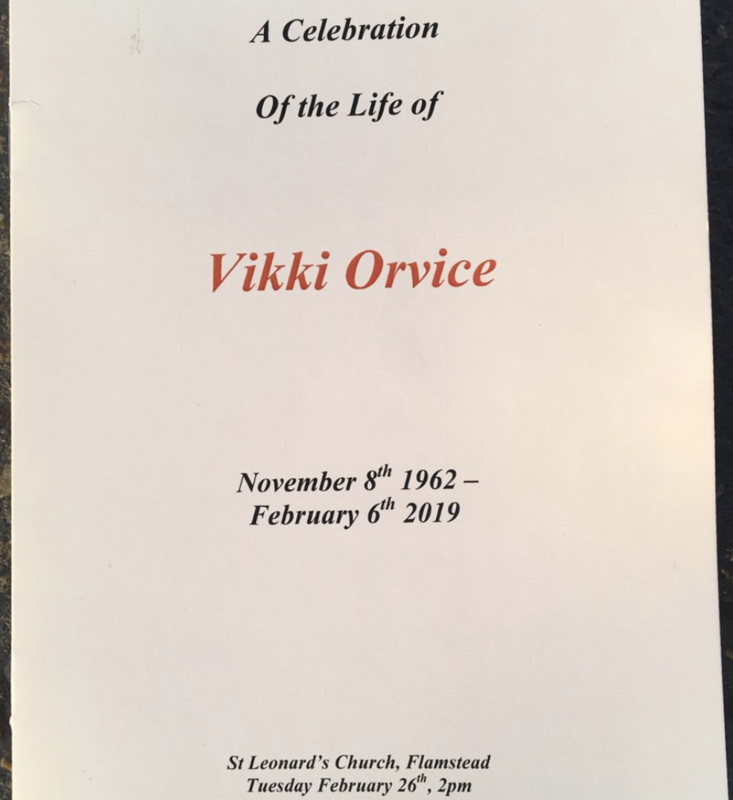 Vikki Orvice had written those words in the eulogy she had composed for herself, and was read out by her husband Ian Ridley at St Leonard’s Church Flamstead, on a beautiful, unseasonally sunny day in February. “They came, Vikki, oh they came,” replied Ian later that day on Twitter. Indeed we did. Hundreds turned up at the tiny church high on a hill in Hertfordshire, sitting and standing inside St Leonard’s and even filling the overflow marquee set up outside, with a live stream of the service. And what a service it was. Vikki, determined not to let Ian have the last word, had helped plan her own funeral, but she would not have believed how beautifully this celebration of her life would play out. The village of Flamstead played host for a day to the cream of British sportswriting, superstars of sport and the many, many friends and family who loved Vikki and owed her so much. Paula Radcliffe, Jessica Ennis-Hill, Adam Gemili and Dina Asher-Smith were among the athletes who came to pay their final respects, as well as footballers Tony Adams and Alan Smith. A special guest, representing Vikki’s beloved Sheffield United, was the great Tony Currie, her ‘first love’ as Ian put it, and an inspirational figure. Her colleagues from The Sun, past and present, turned out in force, and there were dozens of other friends from the world of journalism. The FWA, SJA, Women in Football, the British Athletics Writers’ Association were among those heavily represented, and we were all treated to a service that was emotional on so many levels – poignant, funny, sad, irreverent, moving and above all, inspirational. Vikki set the tone with her own words, penned in the days before her death earlier this month, and with her distinctive voice coming through loud and clear. “The control freak in me would not let Ian have the last word,” she wrote, and you could picture her smile. Ian then delivered his own eulogy, pitch perfect and wrought with emotion. Jacqui Oatley read a loving tribute from Seb Coe, who shared a love of Sheffield and sport with Vikki. The Desire Gospel Singers performed “O Happy Day”, “I Say a Little Prayer”, and “Something Inside so Strong”, bringing the house down. It was inspirational stuff, and barely a dry eye in the house. Ian signed off with the words “Goodbye, my Saturday girl,” and a final kiss. The exit music was “The Way You Look Tonight”, played beautifully by Ian’s daughter Alex, and we all processed through the village to the cemetery where Vikki was laid to rest, with the sun shining, birds singing, and the first daffodils of spring starting to flower around us. It had been 90 minutes from start to finish – Vikki would have loved that. She would have loved the outpouring of affection and anecdotes that followed over tea and sandwiches, in the village she called home. “Well, that was emotional. They came, Vikki. Oh, they came. Proud of you, as were the village, your family, friends, colleagues and the sporting good and the great.